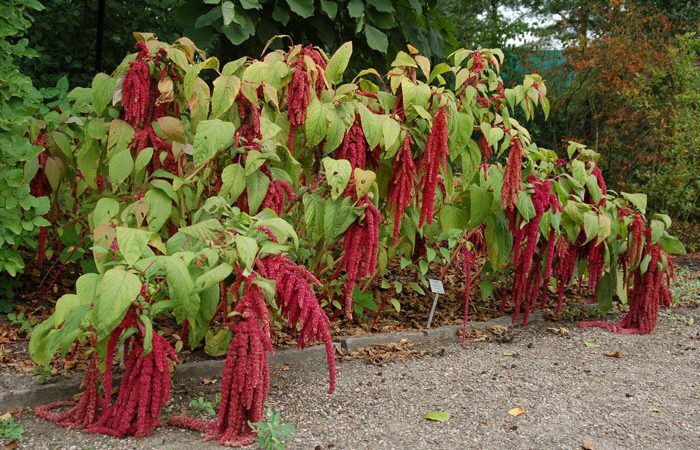 Coarse plants, but very showy, the various sorts of Amaranthus may be successfully cultivated in poor soils where they thrive excellently. Some have bright red foliage, whereas others have long spikes of blood-red flowers. SPECIES. Love-lies-bleeding. Amaranthus caudatus (A. abyssinica). Grows 3 to 5 feet tall and has long, drooping red spikes of bloom, resembling heavy chenille. Sometimes the leaves are also red. Princesfeather, A. hypochondriacus. Grows 4 to 5 feet tall and has erect flower spikes, either green or red. The foliage is either green, golden or red. Josephs-coat, A. gangeticus var. (A. tricolor). 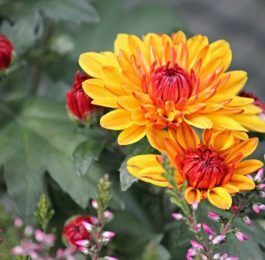 Grows 1 to 4 feet tall and has leaves blotched with bright red and yellow. Chameleon A. (Fountainplant) A. salicifolius. 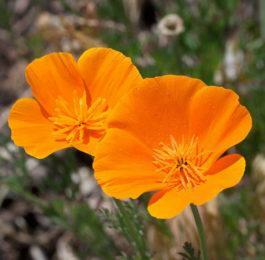 Grows 1 to 3 feet tall and has narrow, drooping leaves often wavy margined, sometimes bronze or orange. Moulten Fire is a Burbank variety having most brilliant red foliage. It does not grow tall but produces quite a rosette of leaves. Where to Plant. The various sorts of Amaranthus are closely allied to the Pigweeds and Celosias, but the latter are daintier and have flowers of lovelier colors. At best these annuals are rather coarse and have only a limited value in the garden. They will grow in the hottest and driest locations. In rich soil the colors are not as brilliant and the plants grow foliage principally. THE AMARANTINE ORDER. Swedish knights and Swedish ladies assembled one night in the palace of the queen for a great ball and to initiate the foundation of the Order of the Knights of the Amaranth. Diamonds sparkled from every hem of the garment of Queen Christiania as she entered that night, attended by sixteen nobles and sixteen ladies. The ball had progressed until a late hour, for there was dancing and repartee. Suddenly Christiania stripped herself of her diamonds and distributed them to the company. At the sane time she presented the knights who would form the Order of the Knights of the Amaranth. To each she gave a sprig of Amaranth or Love-lies bleeding, a ribbon and a medal. The flower was the emblem of incorruptibility. The medal bore an enameled Amaranth and the motto “Dolce nella memoria”-Sweet or pleasant in the memory. GENERAL. Seed may be sown in the hotbed or window of the home in March; or, if one prefers, the sowing may be deferred until the soil is warm outdoors. Thin the plants, as they require much space. 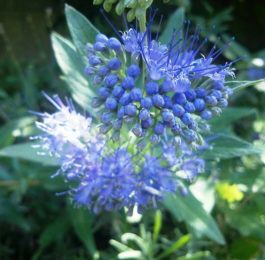 The various sorts do not come perfectly true from seed; seed from the best plants often produce specimens with inferior flower spikes and less highly colored leaves.